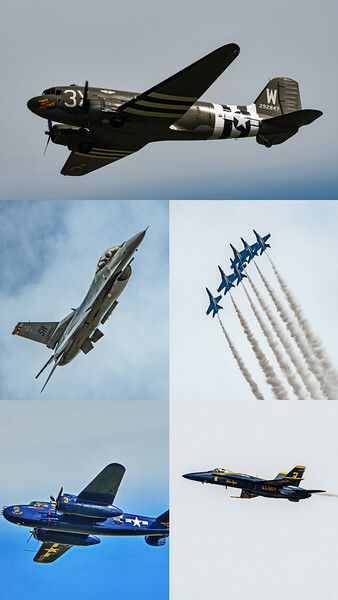 I do enjoy air shows, but haven't been to one in quite a while. I love all the different planes that you've included, but the shot of all the Blue Angels blows me away. This is excellent! Perfect W montage. Love the shots of the C49 (DC3) and the Mitchell. Fine old warbirds. Amazing collage of shots for "W"!